SlowBurn Montclair champions low-force, slow-motion strength training and healthy eating habits to fortify client’s body and health. SlowBurn personal training builds you up without beating you up! Get up and go with SlowBurn! SlowBurn Personal training caters to all ages and fitness levels to increase muscle mass as well as coordination and health. It is a low-force, time-efficient workout involving weight lifting and strength training. SlowBurn targets injury-free training and nutrition methods to help people live life to the fullest. Owner Fredrick Hahn believes that helping people to reach their peak individual physical health is truly rewarding and satisfying. Hahn began working as a personal trainer in 1985. He moved on to take a full-time position as a physical therapy aide, and then worked as a certified personal trainer for the Hospital for Joint Diseases Sports Medicine Center in 1991. Three years later, Hahn co-founded a physical therapy company called Metro SportsMed. He branched out to open his own business, SlowBurn, in 1998. “I opened SlowBurn Personal Training because I could no longer accept the dangerous and useless exercises practices I was forced to deal with in the world of personal training and physical therapy. I wanted to give my clients the very best I could in an ideal exercise environment by increasing the quality, effectiveness and efficiency of their exercise sessions,” said Hahn. Hahn’s biggest inspirations in the fitness world are Arthur Jones, founder of Nautilus, and Dr. Ellington Darden. Hahn created SlowBurn to help students improve all aspects of health. He started developing the method at the Hospital for Joint Diseases to make his patients as strong as possible in the safest way possible. The method can be used to control blood sugar, manage arthritis pain and relieve back and neck pain. SlowBurn’s Tai Chi-like routine was recently featured on the Today Show as one of the easiest ways to get fit in 2017. SlowBurn benefits all ages and fitness levels because it improves strength, endurance, cardio, flexibility and bone density. Hahn authored a book, Strong Kids Healthy Kids, that explored just how SlowBurn works for even the youngest athletes. SlowBurn instructors start by assessing the student’s needs and strengths, imputing information into a computer so clients can see just how much muscle they are building and fat they are losing. Each new client meets with a complimentary health coach. “The number one thing people can do to stay healthy is eat healthy. Nothing else even comes close,” said Hahn. 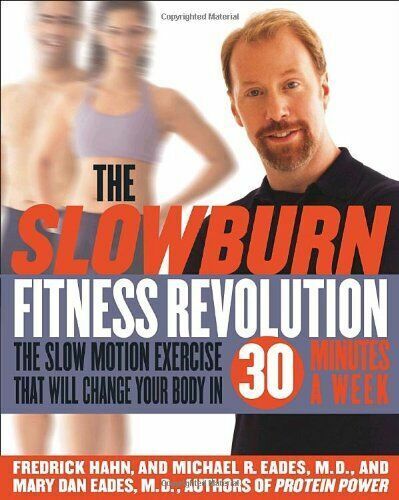 SlowBurn works with clients in two 15-30 minute sessions a week. Sessions are held in a cool studio space that allows clients to remain comfortable while working out. The first session is complimentary. SlowBurn is now offering a free pre-season golf clinic aimed at building swinging strength for the season! Registration is required, and spots are limited. “SlowBurn Crush the Ball” will occur in February, March and April.